Home Leadership Which type of leader are you? A thermometer or a thermostat. These are two completely different styles of leadership. Before we get into the two types of leadership, let us talk about two devices and the inherent features of each of them. The devices in the discussion are the thermometer and the thermostat. 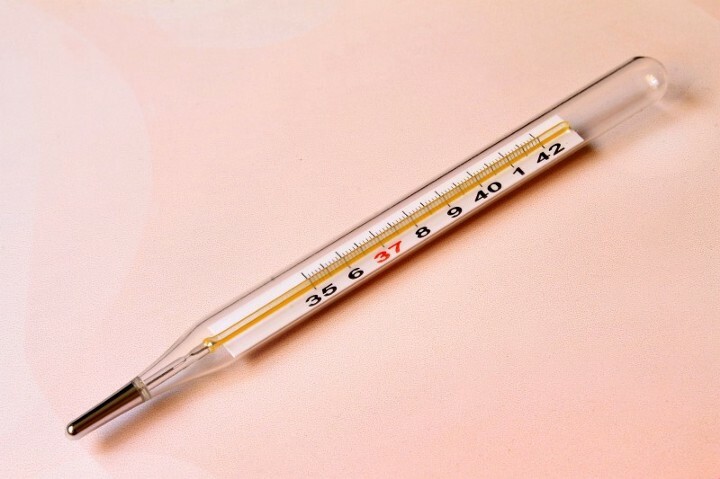 A thermometer is a commonly used device to measure temperature. The behavior of the thermometer is straightforward. It reacts to the temperate around it, heats or cools accordingly and shows you the current value. The thermometer is reactive and can only tell you what the temperature is. The thermostat is used to regulate the temperature in its area. When the sun is scorching and the surroundings are humid, the thermostat can cool the room for you. If a chilly wind is blowing, thermostat keeps your house warm. If it is hot outside, the thermostat turns into air conditioning and if it is cold outside, it acts as a heater. The thermostat is proactive. The thermostat can set the temperature of the area it is placed in, irrespective of what the conditions around are. You should have deciphered the correlation of these devices with leadership already. We will explore further about how leaders in these two categories behave. Such leaders are in a hurry to react and panic when an immediate solution cannot be found. When the situation is hot, such leaders heat up too. They feel the necessity to quickly fix things when they break and love having complete control of the situation. They are uneasy until a solution is found. They are happiest when the problem at hand is resolved and are relaxed until the next problem pops up. They are usually firefighting issues regularly and are stuck in the Quadrant of Necessity. A good indication of a thermometer leader is when he/she focuses more on everyday tasks than the vision/values for the team. We should fix this: They want to chase down every problem and are looking to solve it quickly. In many cases, they are also the main problem solvers. This is why it happened: They come up with a detailed explanation of what went wrong without any clear plan of future action for prevention. They might even hide some of the mistakes committed to avoiding questions. They are worried about losing credibility due to the problem that just impacted business. They have a bunch of followers: They usually have a set of people following them and waiting for their instructions. They love taking the lead in every single problem that shows up, building a culture of people waiting for instructions. What is your opinion? : They are concerned about the opinion of every single person. They refuse to take a decision until a consensus is reached. Talking to people to gain a better understanding and building collaboration is necessary indeed. However, refusing to take a decision until hundreds of people have been spoken to for every scenario portrays lack of confidence. People expect the leader to take the right decisions and when this is delegated for all circumstances, the credibility of the leader is under question. Worried about what people think about him/her: Such leaders are worried about being liked by everyone. They give a big weight-age to what people would think about him/her if a certain decision was made. These leaders are more worried about what did we learn from a crisis, how can we prevent it in the future rather than how quickly was the problem solved. Circumstances do not determine how heated up such a leader is. They react and control the environment around them as per the situation. A solution to a problem does not make any difference to them unless there is a plan of action towards prevention in the future. They are usually spending most of their time in the Quadrant of Quality. A good indication of a thermostat leader is who focuses on where his/her currently team is, where they ought to be and how to get them there. What did we learn from this: They do not chase down every single problem because they are aware that they could end up in rabbit holes. They are worried about what did the team and themselves personally learn from the crisis. I take ownership of this problem: They present the sequence of events that transpired without providing any excuses or hiding any mistakes. They do not whine about a problem: They are aware that if they complain or blame things on circumstances, others will follow the same. They lead by example making accountability and ownership a culture. They set goals and help others get there: They set the direction and goals for the team and help the team attain them. They act towards a vision and not only at a problem at hand. They take the right decisions: If a decision is right but may not please everyone, they will still take it. They realize that people will whine at first, but eventually see the reason behind it. They know when to collaborate and when to pull the trigger. This is one of the primary reasons they are respected — level-headed decision making. They develop a bunch of leaders: They not only have followers, but also strong leaders groomed under their guidance. They understand that they cannot take the lead on every single occasion and it is important for people to grow under them. Leaders under them take the lead in a crisis. They set the atmosphere and make things awesome: Have you been to a party which you knew would be awesome even before you got there? It was most likely organized by a thermostat leader. They choose to be awesome and people just join them on the bandwagon. They wear failure as a badge of honor: They are not bogged down by failure but take it as a stepping stone to success. They hate accepting “This will not work”. Under their leadership, people step out of their comfort zone, commit mistakes, broaden their horizons and get remarkable over a period of time. It is fairly obvious as to which of these leadership styles serves the better good in the long run. However, if we make a total of leaders across all organizations, the number of thermometer leaders would outnumber the thermostat leaders by leap and bounds. Under a thermostat leader, good culture prevails and team bonding is at its best. Even in turmoil, people know that their leader will remain calm and back them up which brings the best out of them. Thermostat leadership is contagious and it breeds more of them. True leadership isn’t about reacting to the atmosphere, it is about setting it. Are you a Ralph or an Abraham?